' Freezer Jam - Sisters, What! 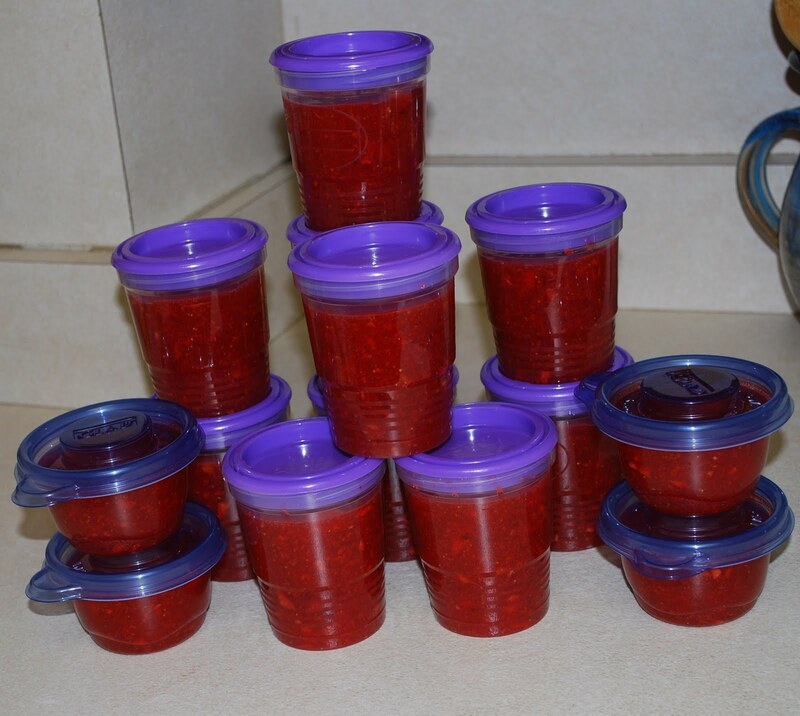 Knowing school would be starting today I made strawberry freezer jam this past weekend. My son Andrew will only eat PB&J if my homemade jam is on the sandwich...I know picky but what can I say...it is way better then the store bought jam. I posted about it on facebook and a few people requested the recipe I used. Wish I could say it was mine but alas I can claim no credit....unless you count going to the store not once but twice in the 100+ degree weather to get supplies. 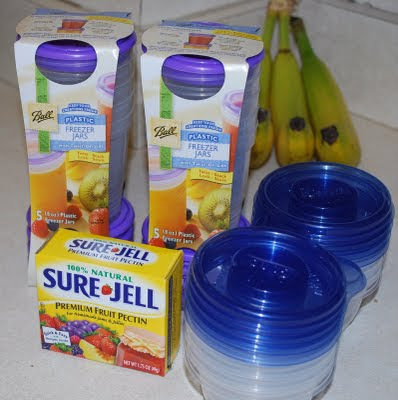 I use the simple recipe from the Sure Jell Premium Fruit Pectin Box...yup that easy. I posted the items I use...I love the containers with the purple lids. I have used them for three years now and they are still in excellent condition. I also like the little containers with the blue lids. I like to do a few of those for gifts...when we moved from Pittsburgh I gave them to all the people who were kind enough to watch our kids while we were packing up our house. So take note all...you help me I give you jam. 2. Measure out sugar in a large bowl then add strawberries and stir well. 3. In a small pan combine water and pectin. 4. Bring to a boil (stir constantly!) let it boil for 1 minute then add it to the strawberry/sugar mixture and stir it for about 3 minutes or until the sugar is no longer grainy. 5. Pour into containers but make sure you leave about a inch at the top so it can expand in the freezer. 6. Put lids on then let them sit at room temperature for about 24 hours. After that either store in the refrigerator for up to 3 weeks or in the freezer for up to a year. There you go folks...super easy and super yummy. * I LOVE to put some of this jam on my vanilla ice cream. It is delish. Enjoy!